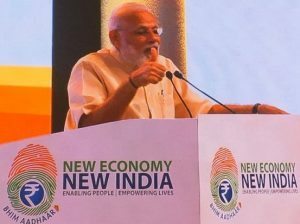 When PM Narendra Modi called for a #NewIndia and sought cooperation from everyone to materialise his dreams, critics slammed him saying it was yet another joomla to divert attention from his failure. While his supporters back him, opponents continue to mock him and make fun of him. But, who does not want a New India? Forget it’s Modi who gave a call. New India is the dream of over 1.3 billion people in India who want to end poverty, corruption, red-tapism, social evils; want development, growth and a chance to leave with peace and dignity. Should we reject the goal of New India just because Narendra Modi has given a call? What’s wrong in accepting the objective of trying to change things in India? Why should not we give things a chance? If PM Modi using diversionary tactics, let people decide on his fate. But, rejecting a noble cause outright, may not serve the purpose. We have elected the government for five years. At the end of that period, we will have the option to review/judge its performance and take a call whether to bring it back to power or not. Let the government function and carry forward its goals and objectives. If UPA got 10 years, why we are getting impatient with just 3 years of NDA Government?